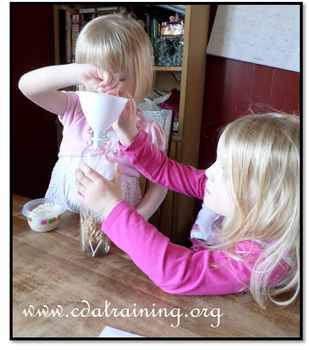 Create the sensory bottle by adding equal parts water and baby oil to the large bottle. 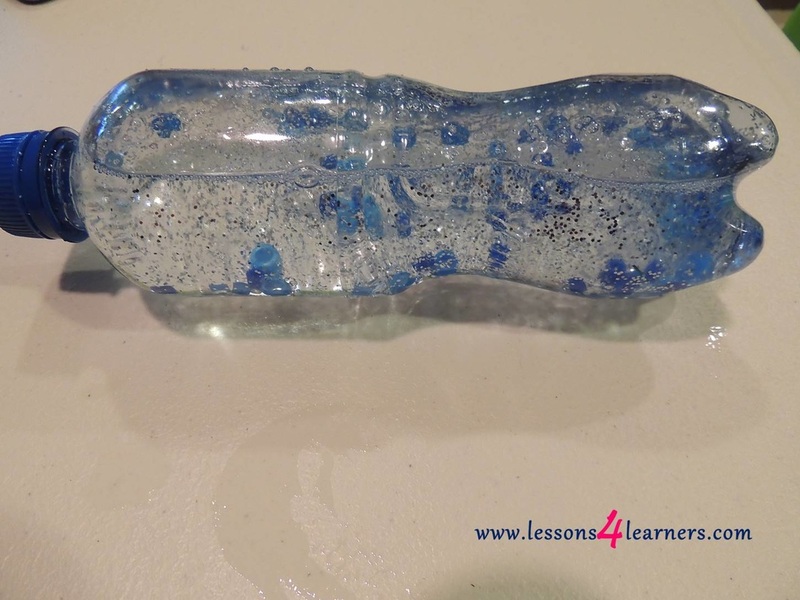 Add in the blue beads (these will act as rain drops) and glitter. 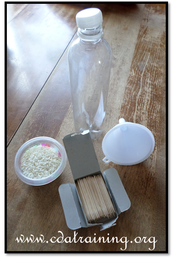 Hot glue the lid on to prevent the infant from opening the bottle. Find a comfortable place to learn and introduce the bottle to the infant. 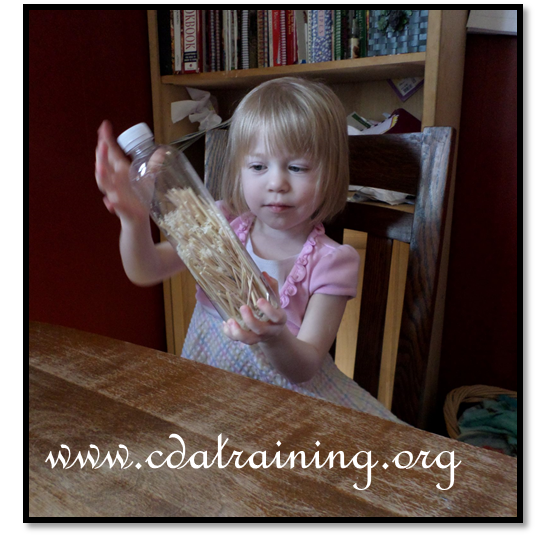 As they are playing with the bottle, converse with the child about what they are seeing. Introduce new vocabulary words to them at this time. Observe and record the child’s reaction to the bottle. Did they make any verbalizations when playing? Did their eyes track the falling beads? Take pictures during the activity to share with parents and guardians.